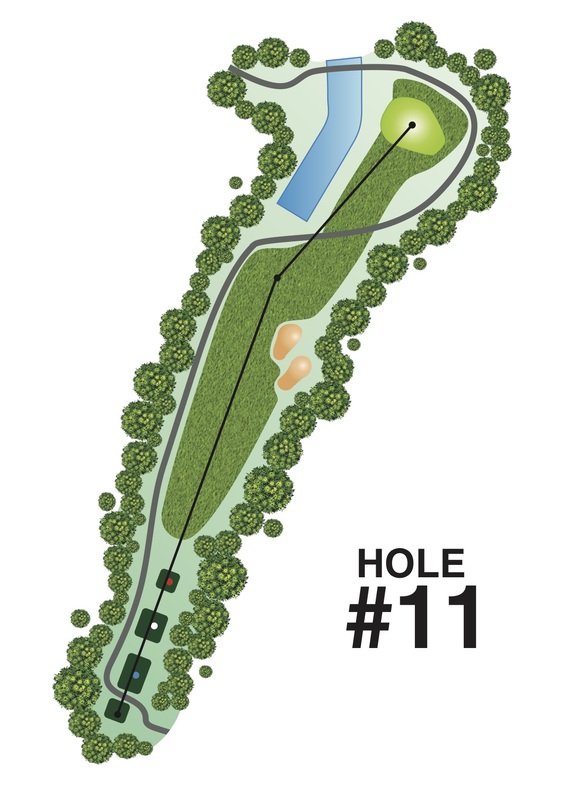 Although this hole features a green with no bunkers, it’s a tricky hole with the boundary fence on the left and two GLF bunkers tactically sited on the right. Fairway wood should be considered for tee shot. Beware of the concealed water inlet left of the green.